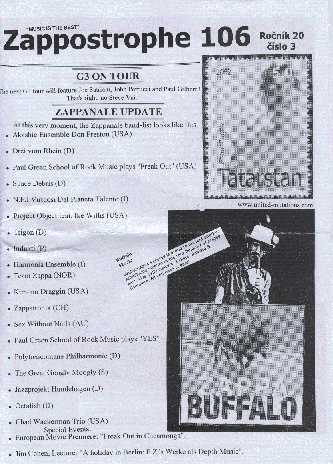 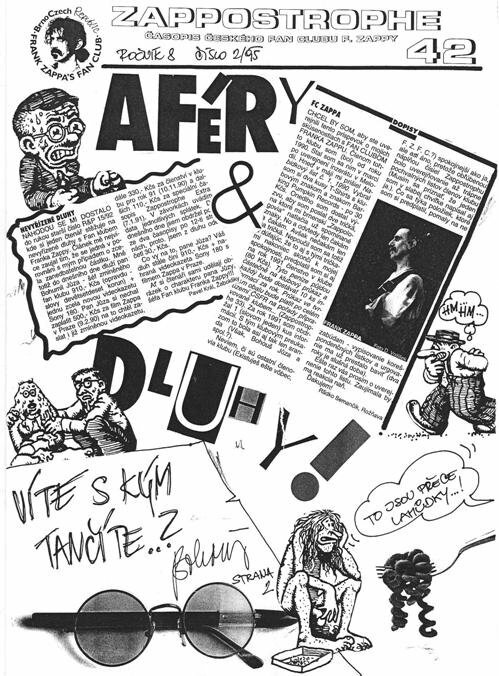 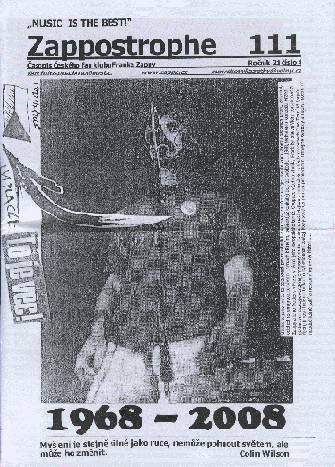 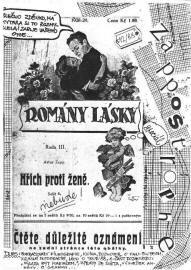 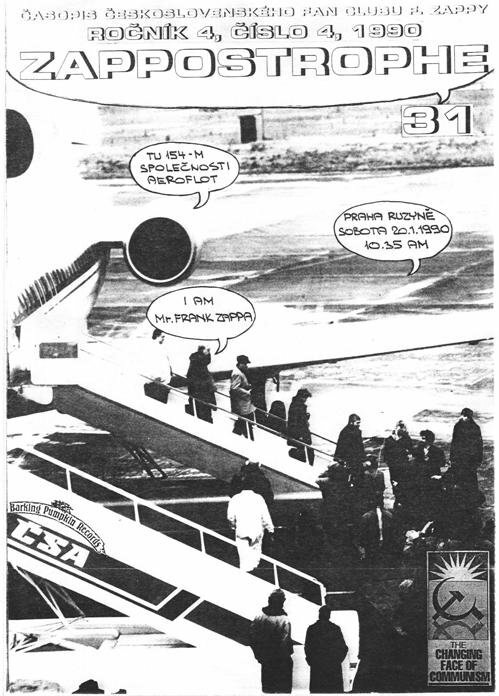 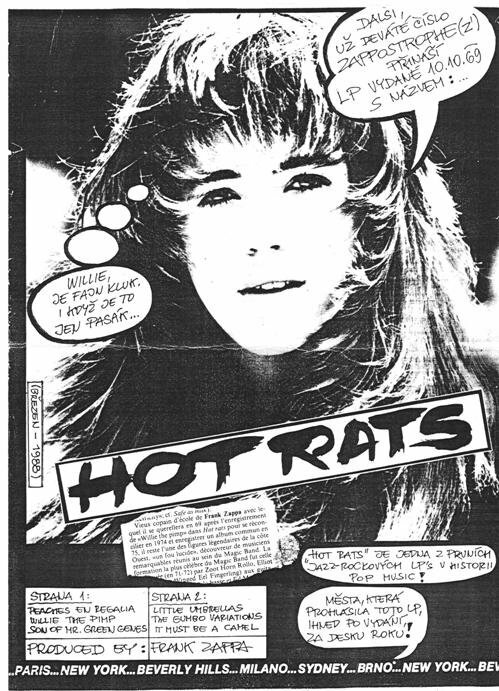 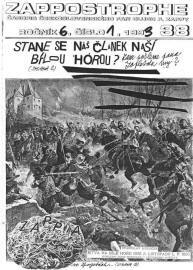 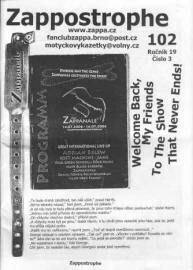 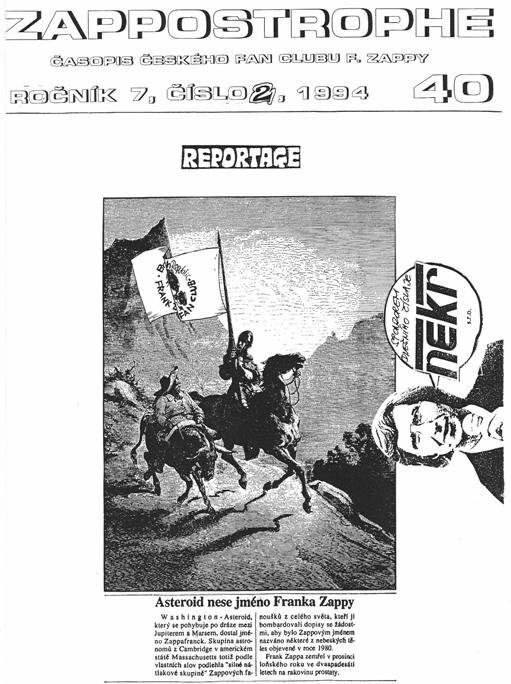 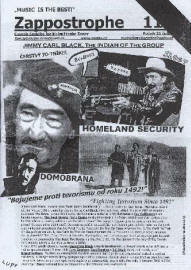 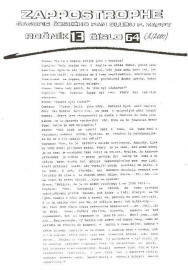 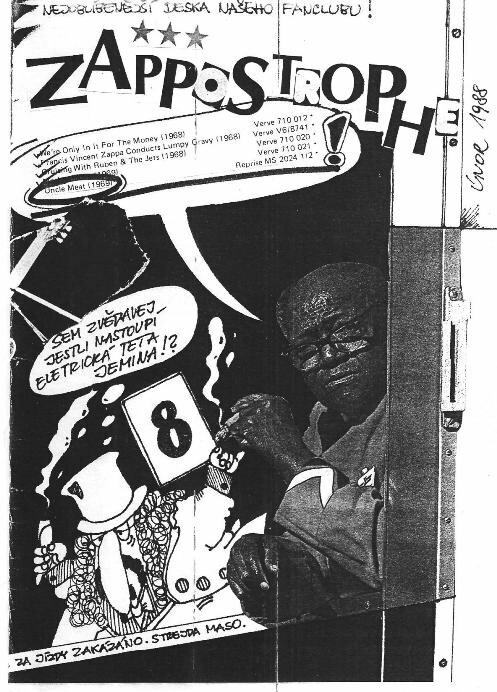 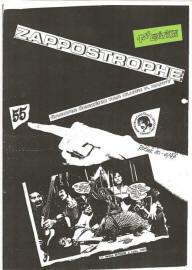 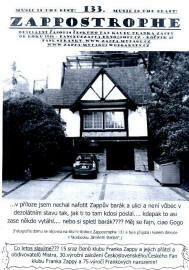 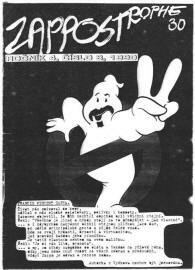 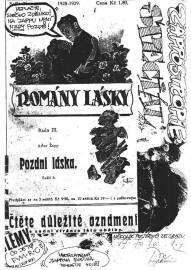 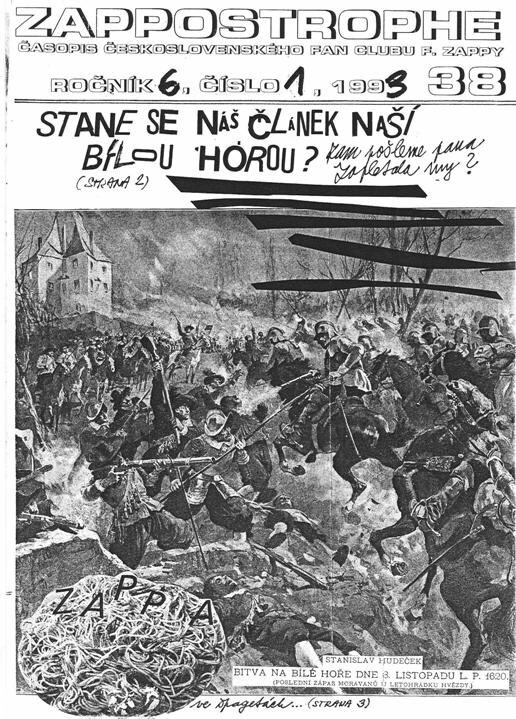 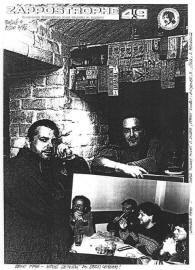 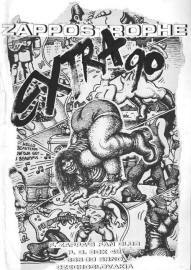 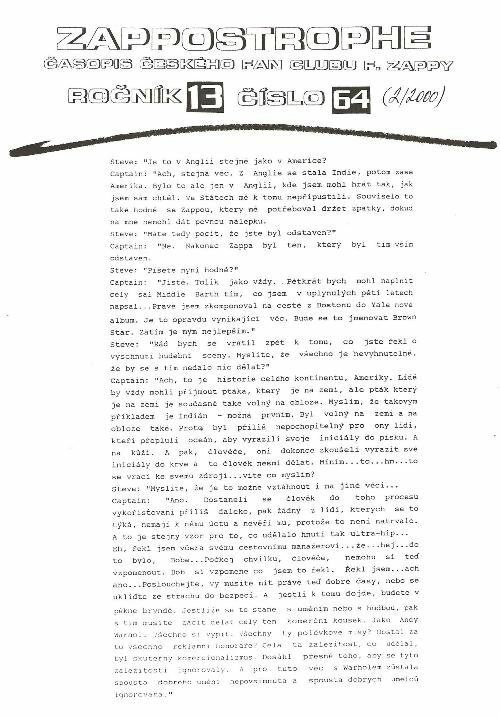 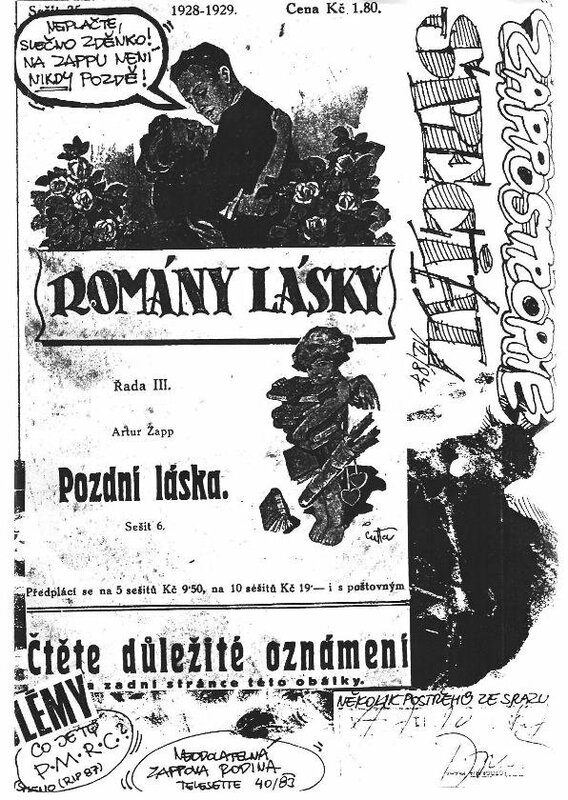 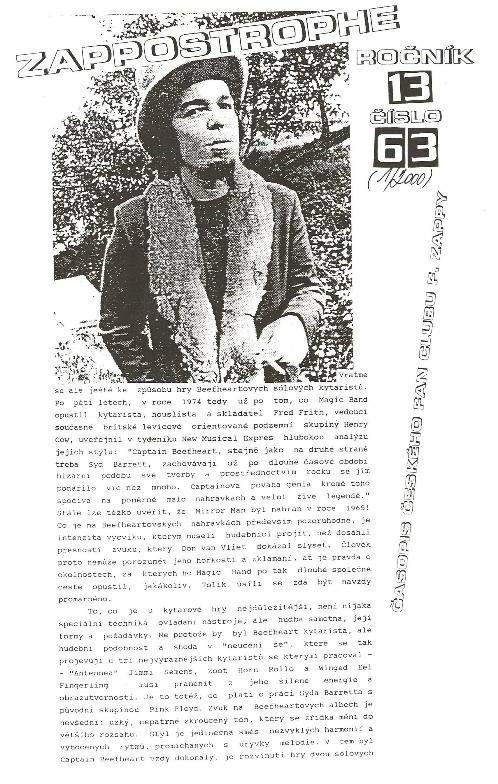 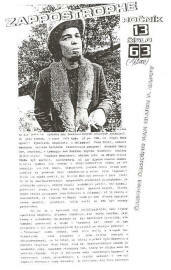 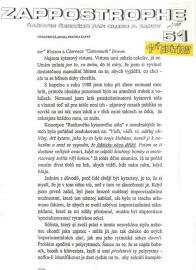 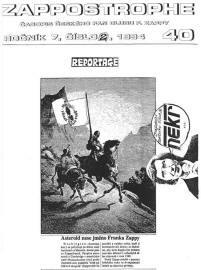 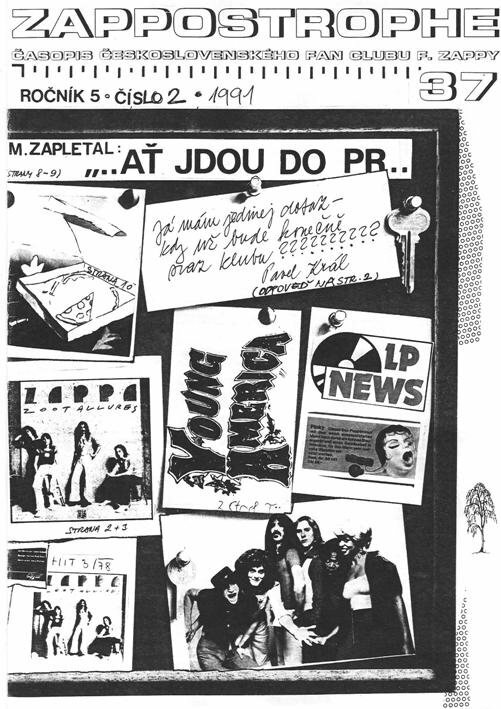 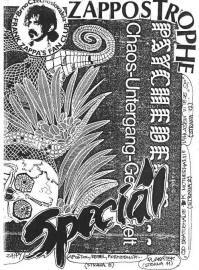 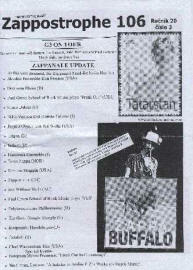 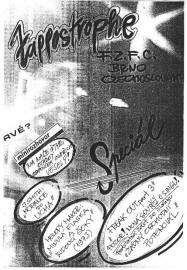 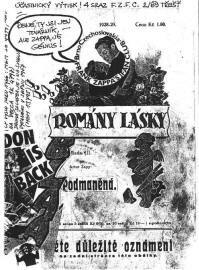 Czech fanzine started in December 1986. 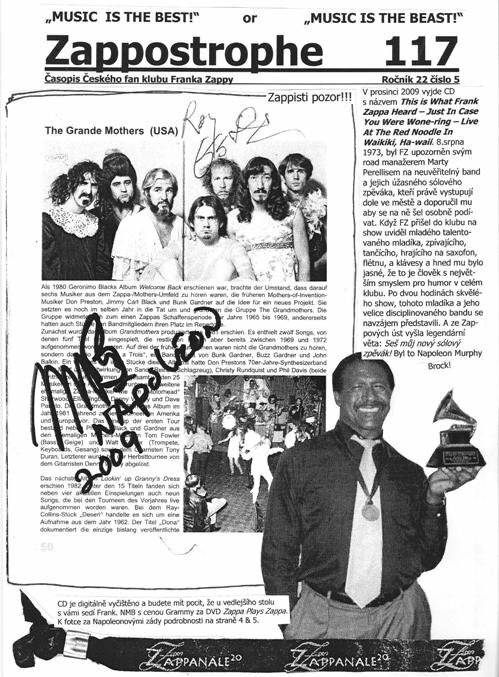 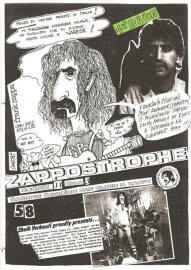 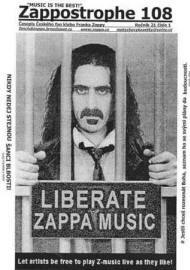 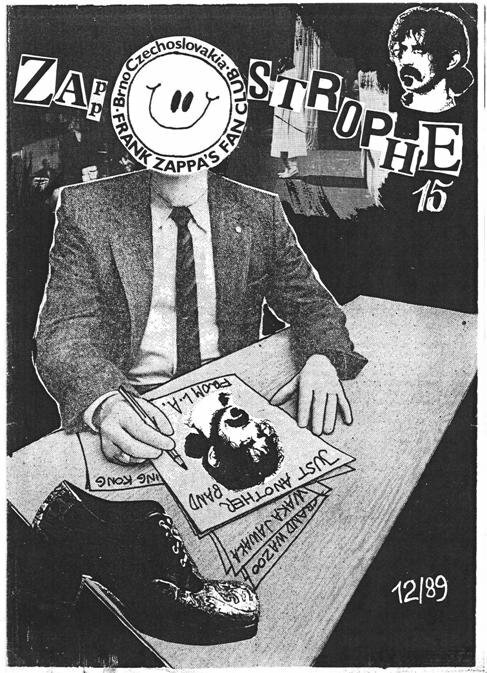 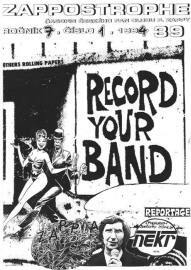 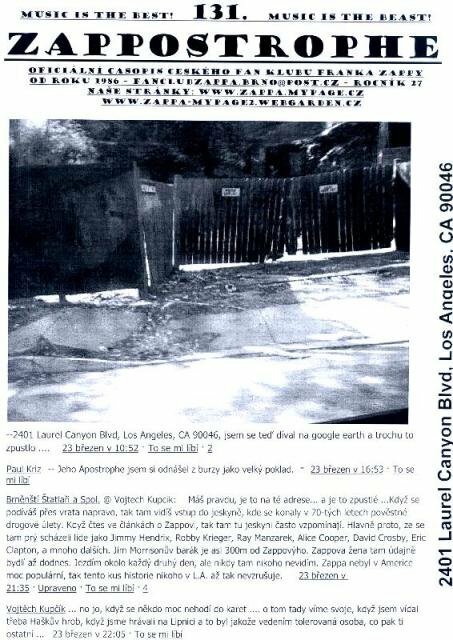 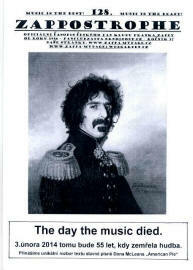 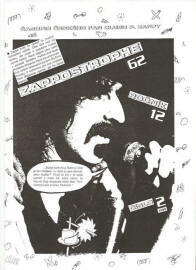 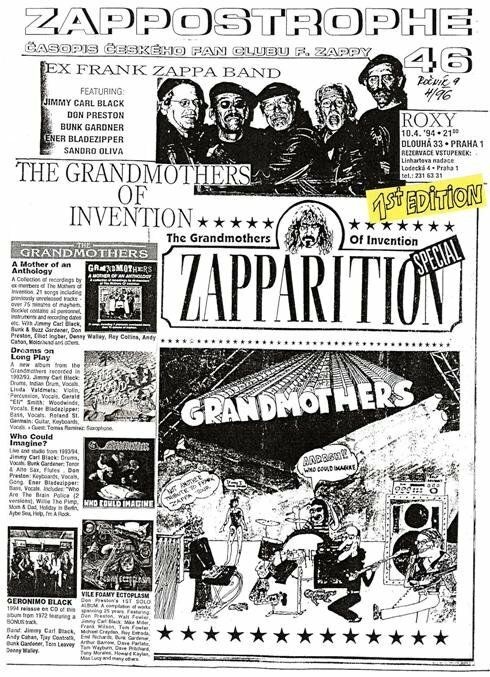 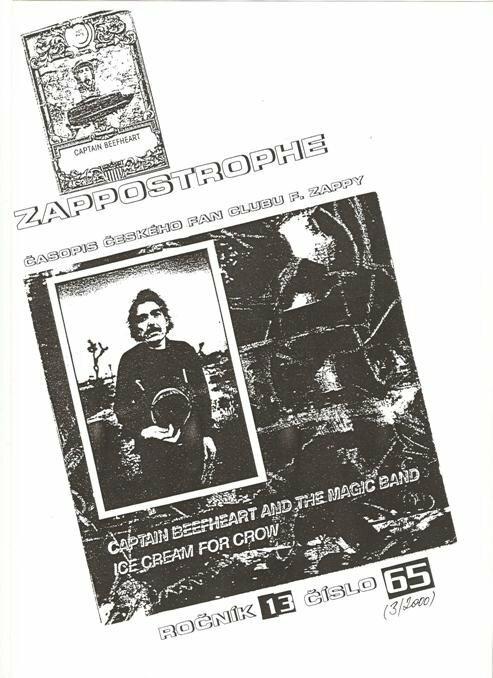 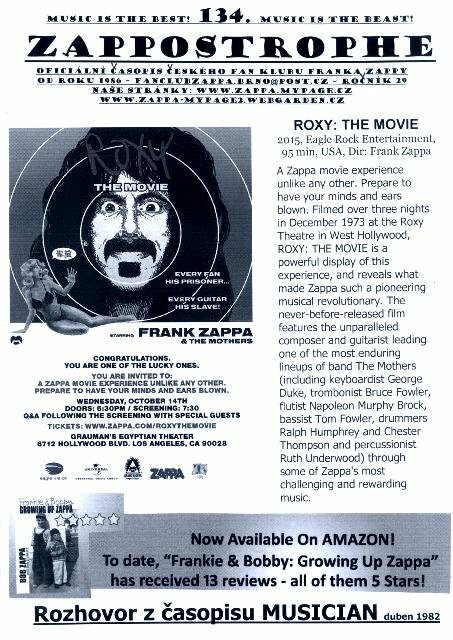 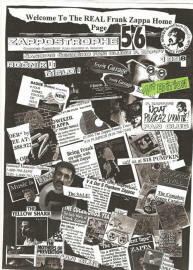 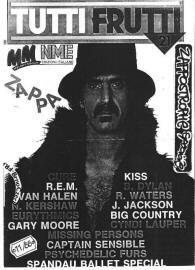 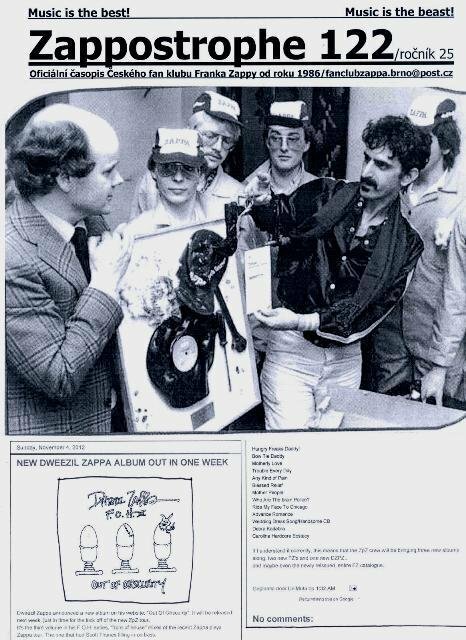 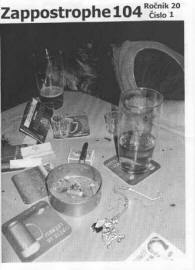 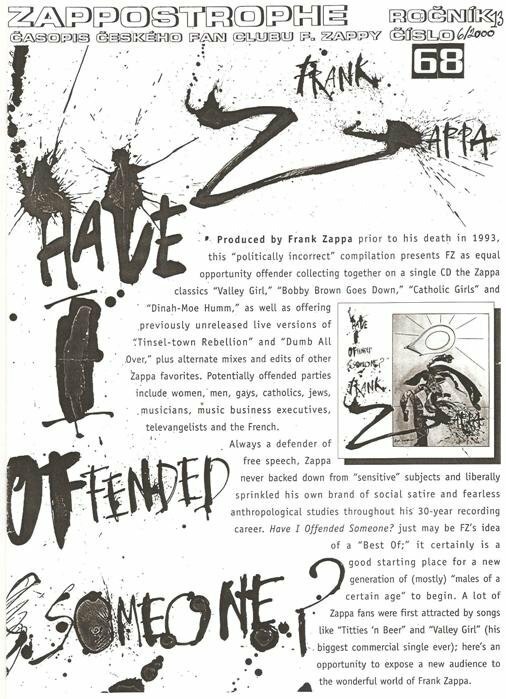 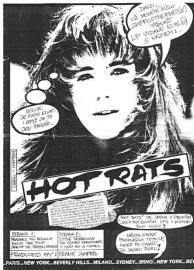 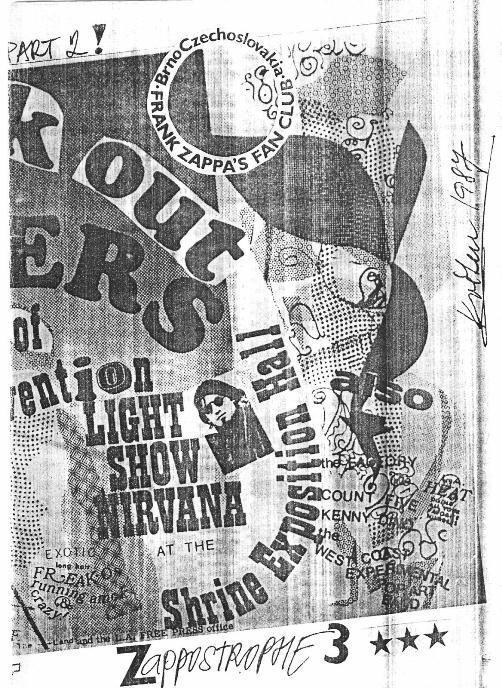 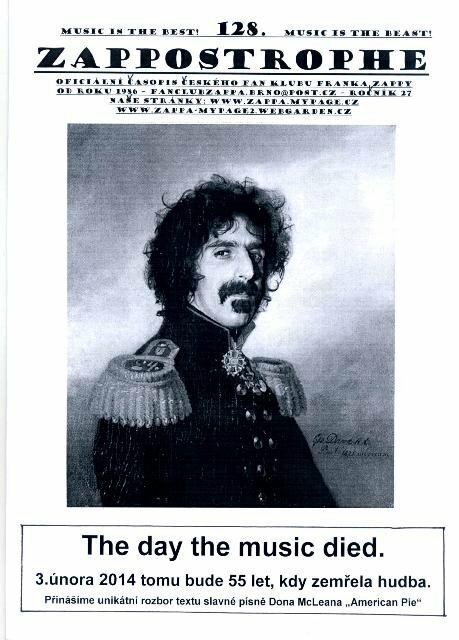 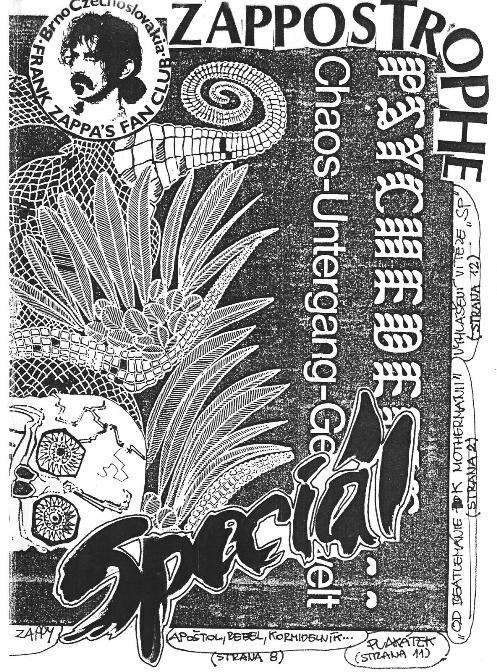 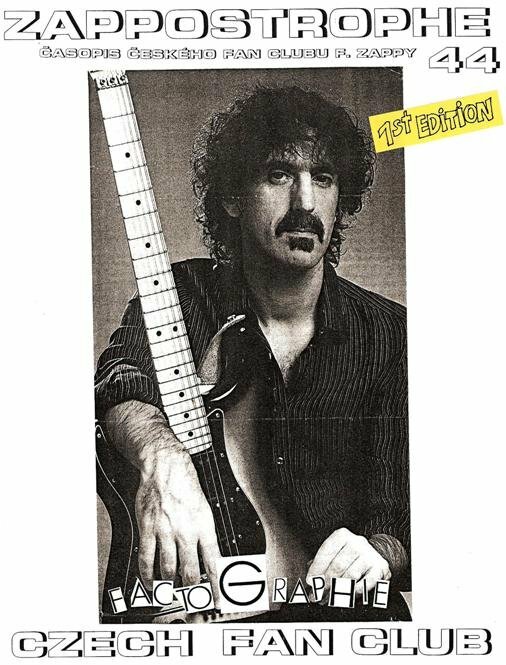 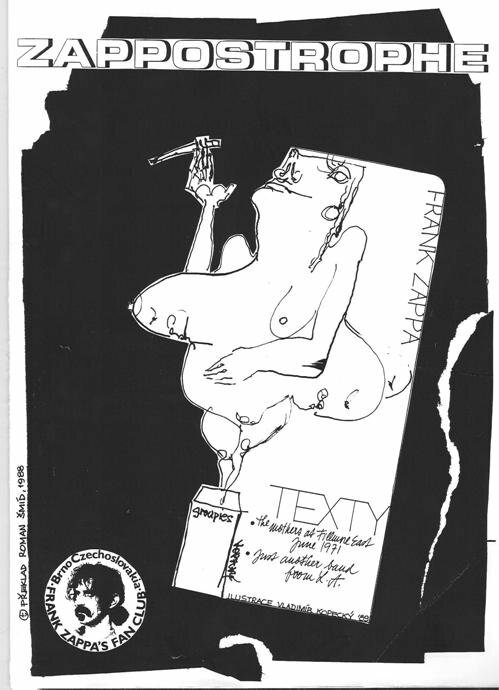 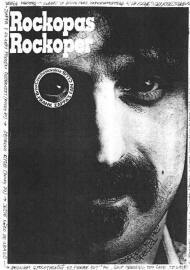 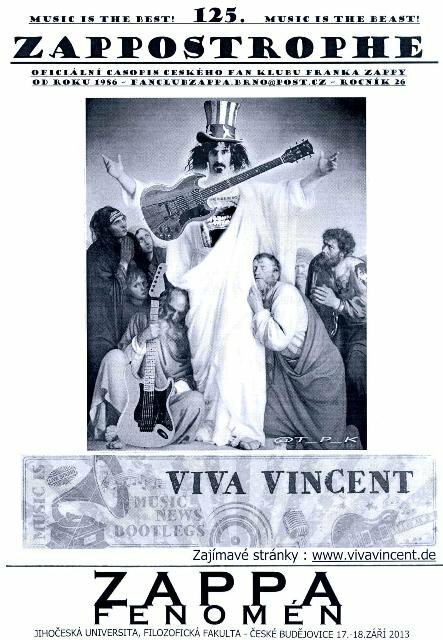 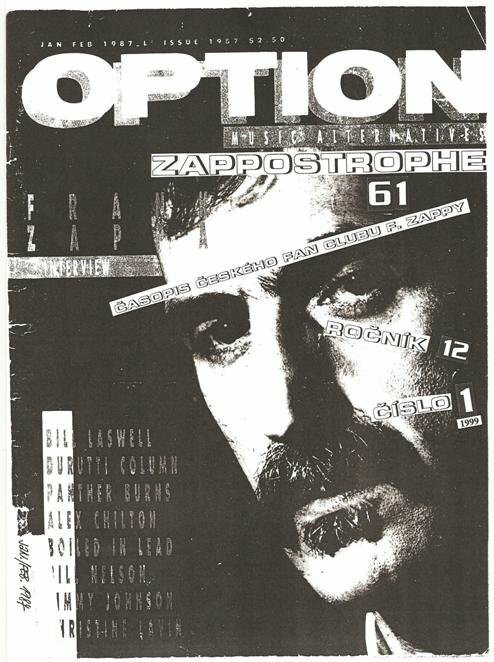 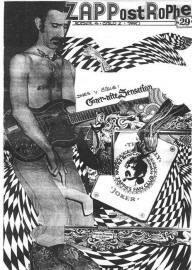 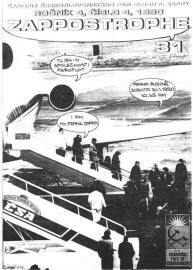 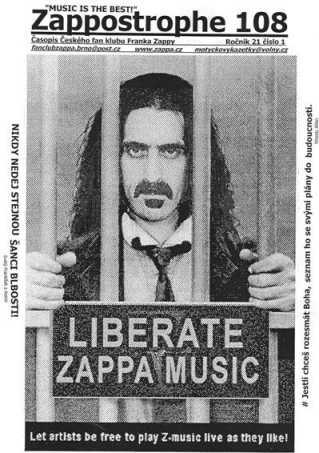 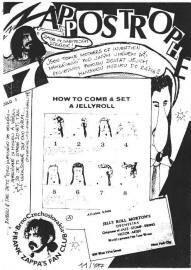 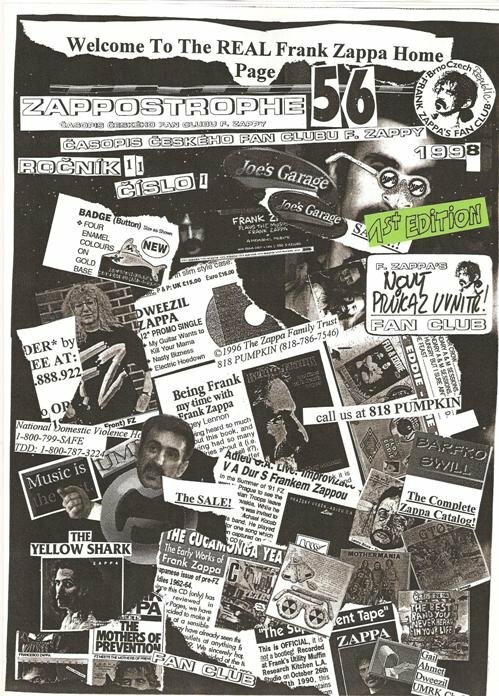 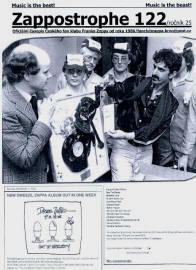 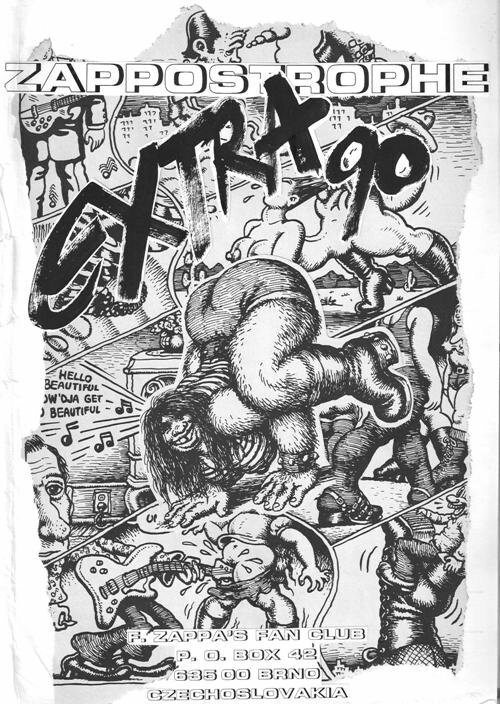 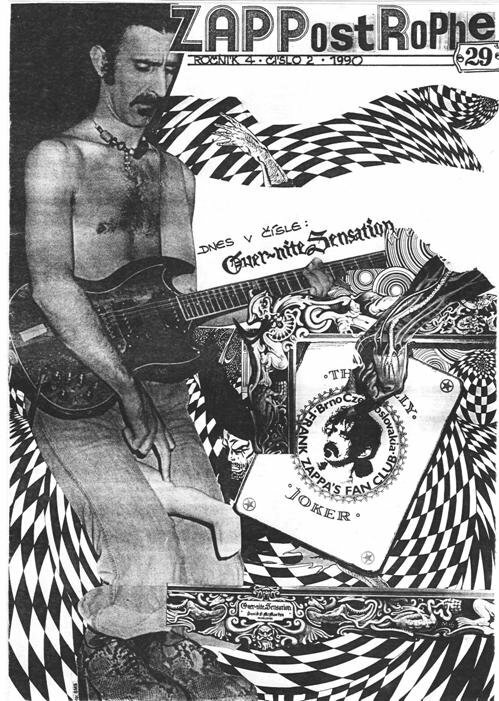 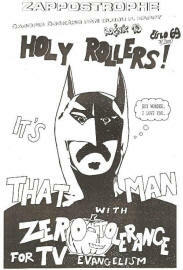 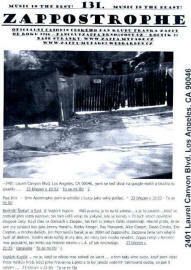 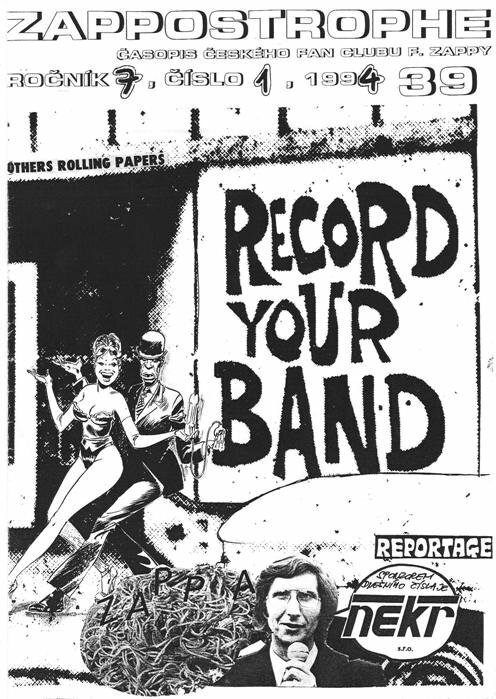 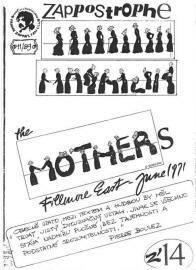 The most enduring of all Zappa fanzines. 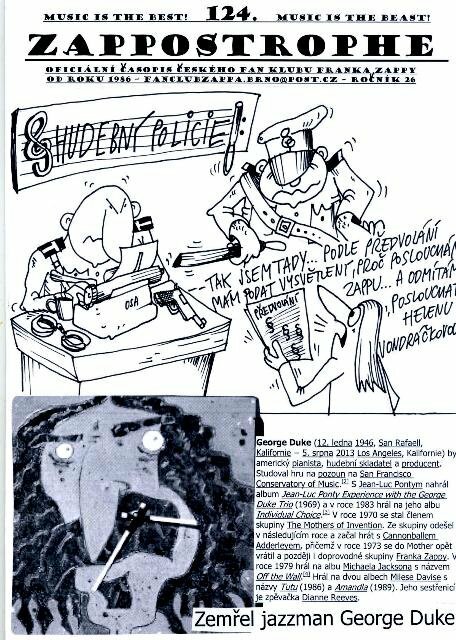 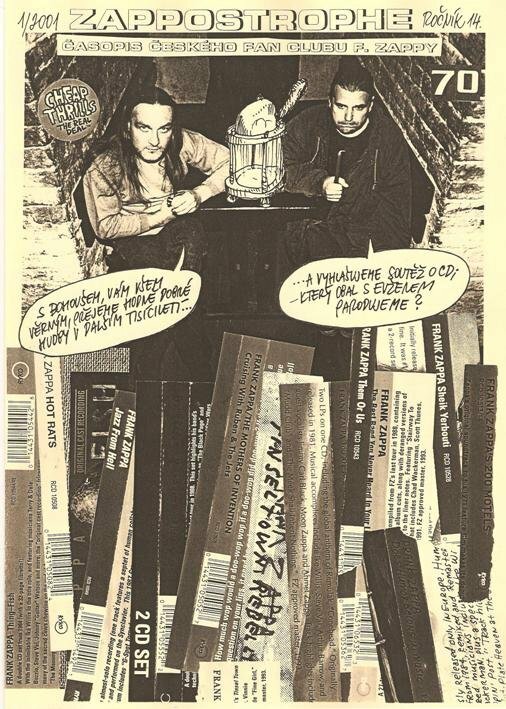 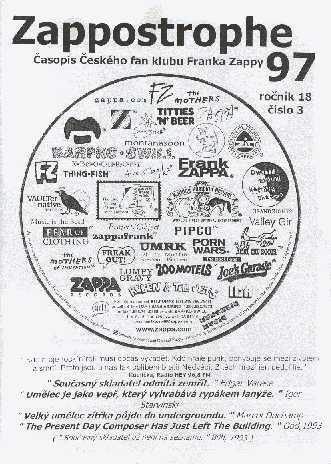 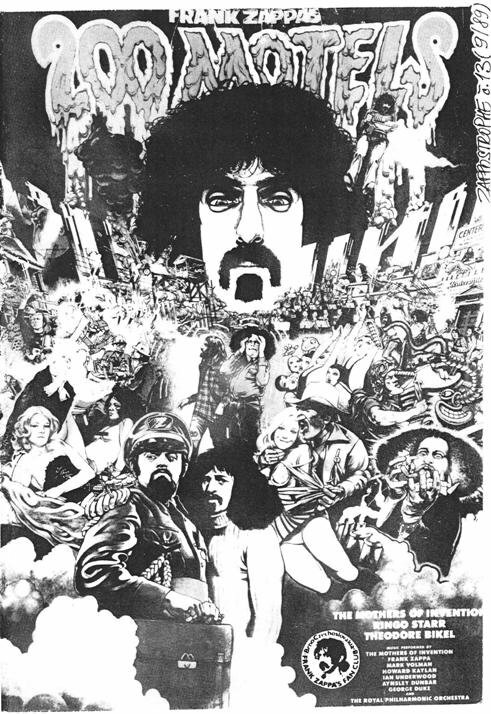 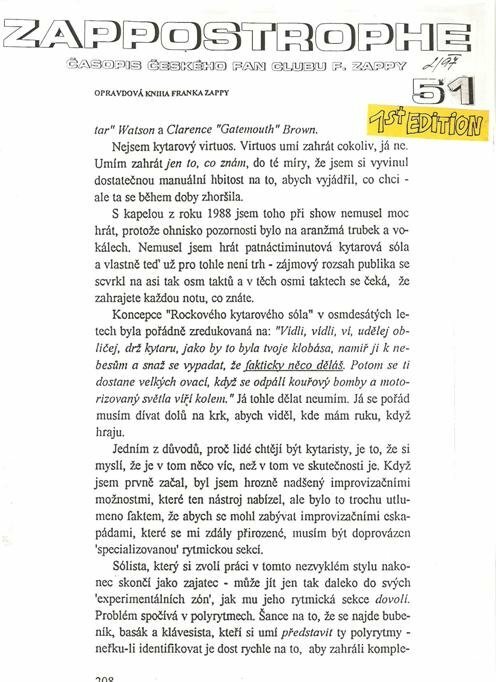 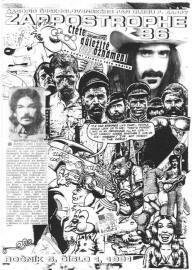 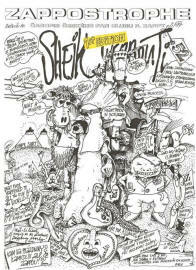 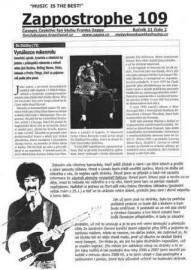 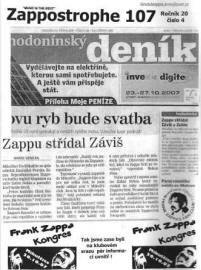 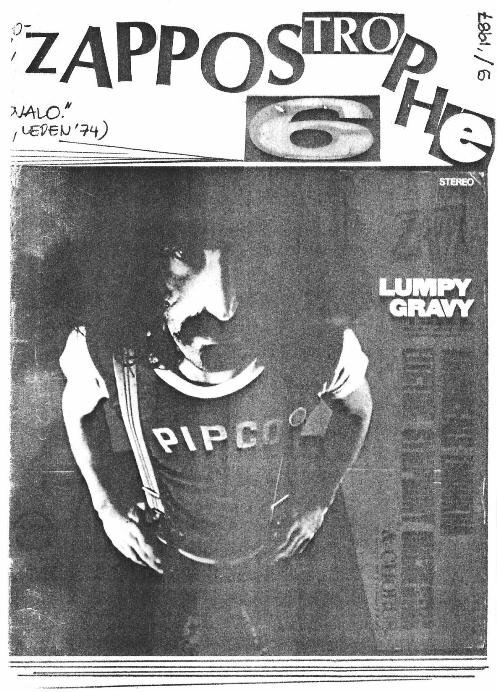 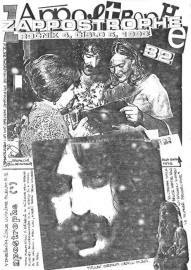 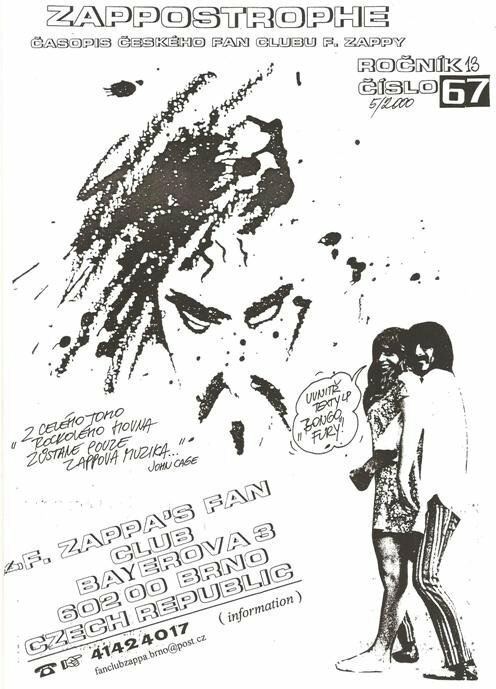 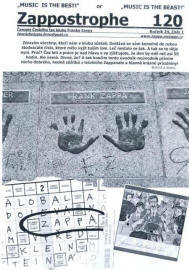 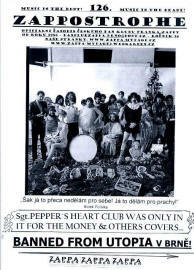 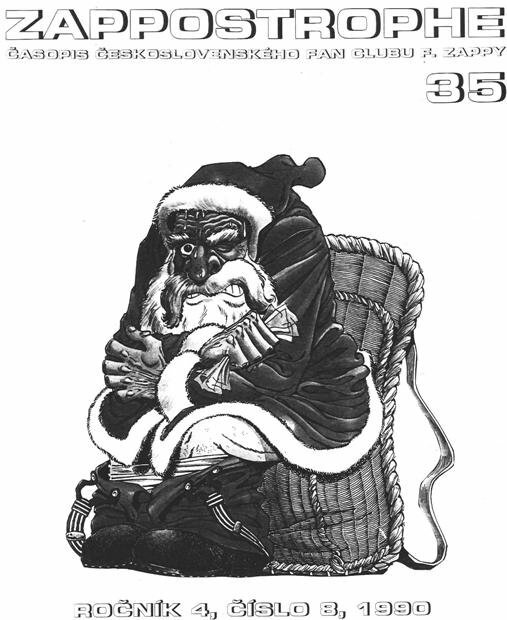 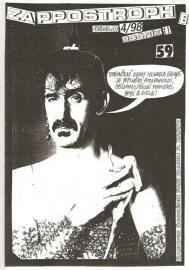 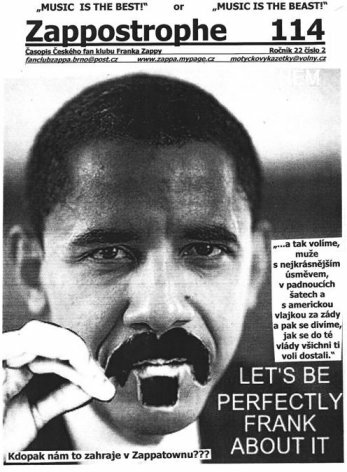 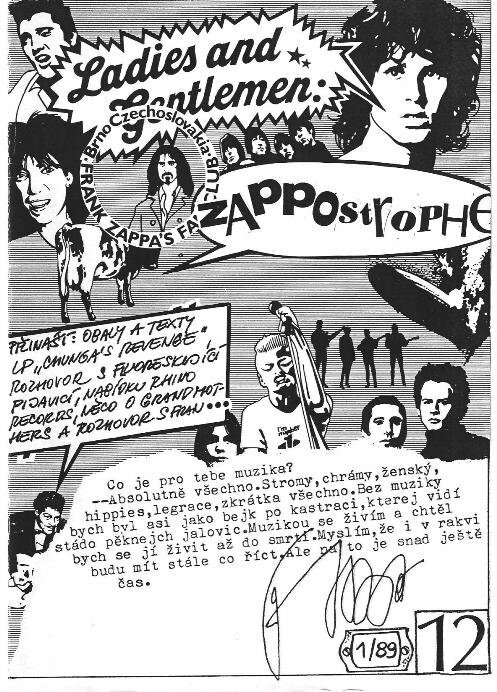 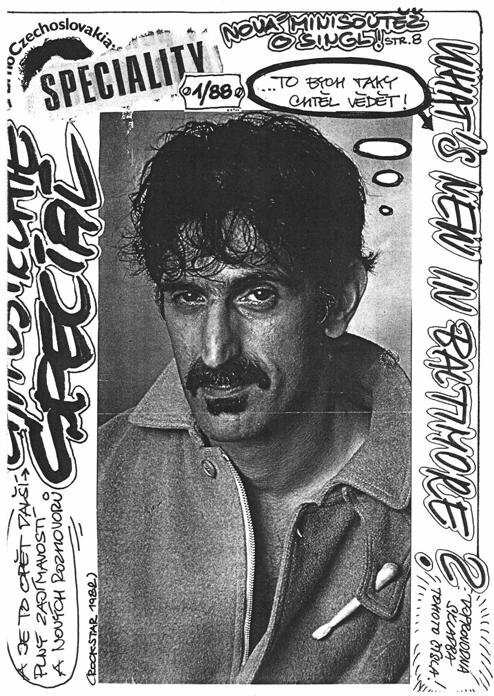 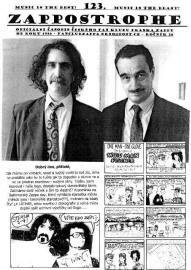 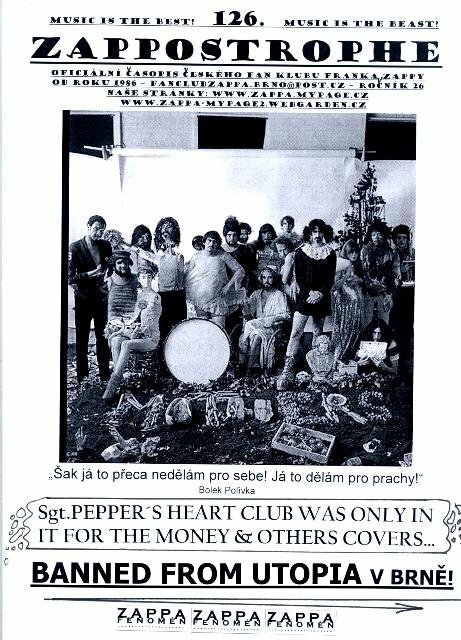 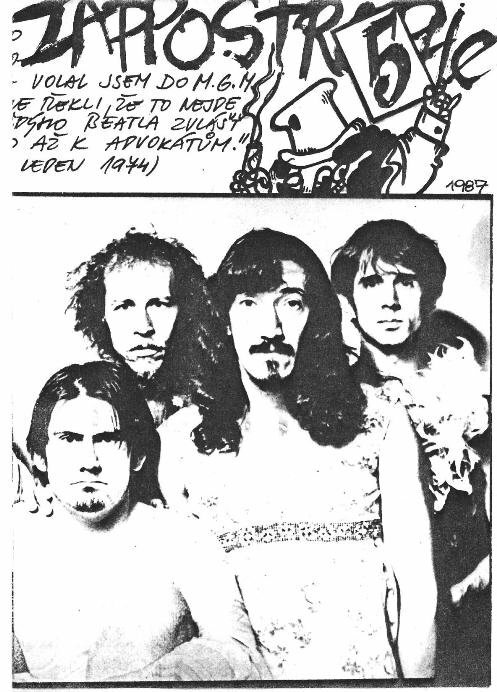 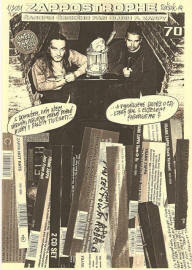 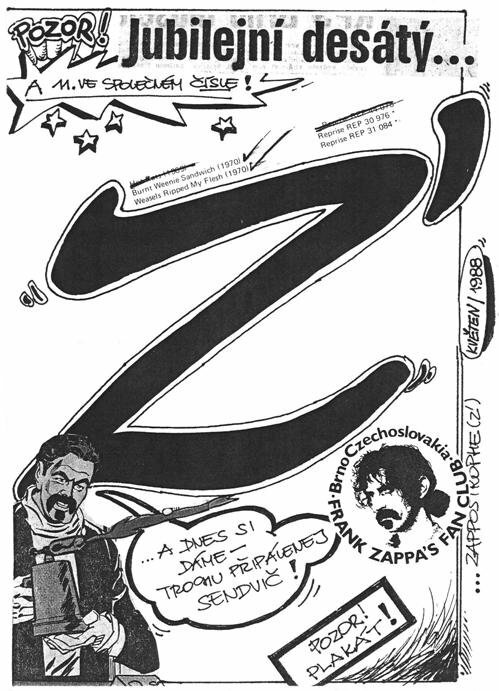 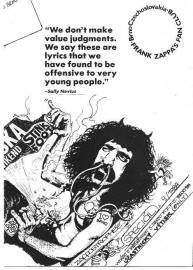 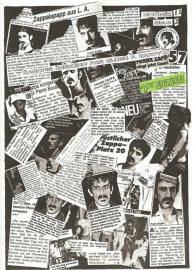 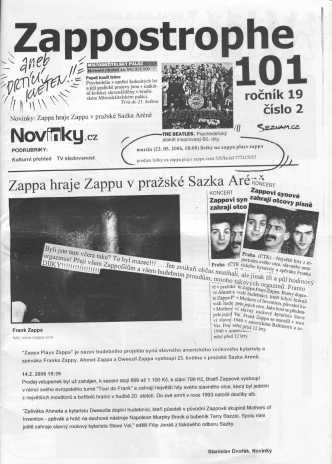 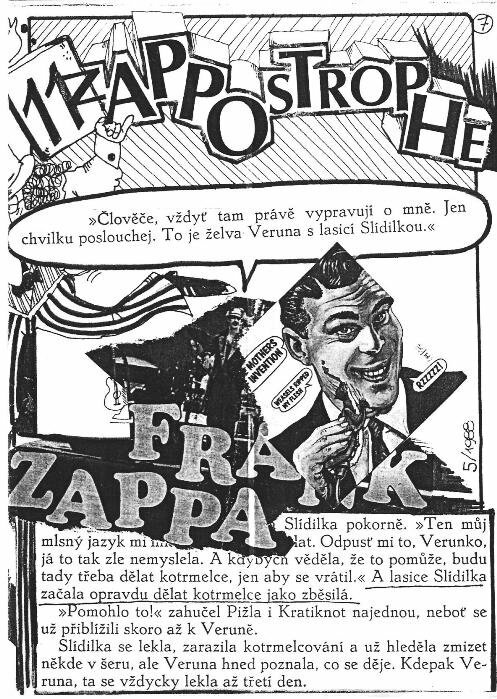 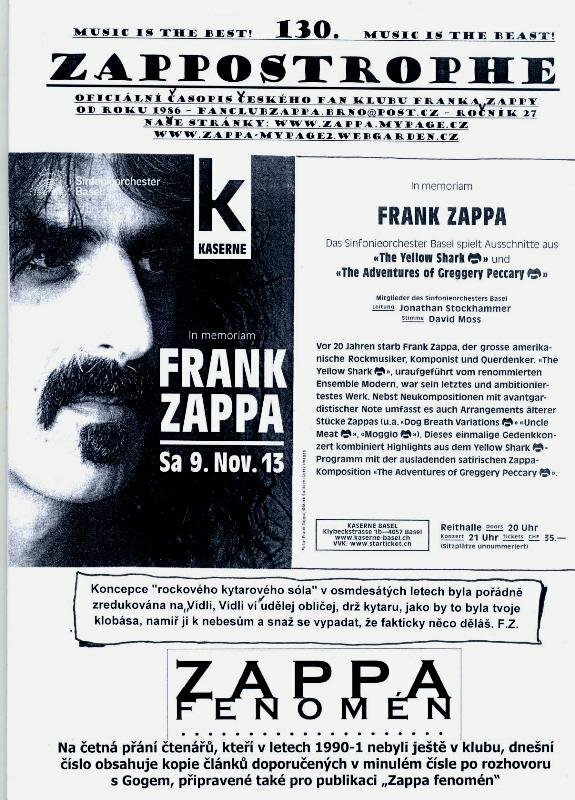 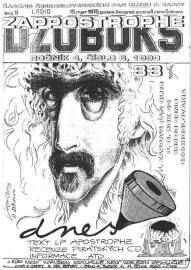 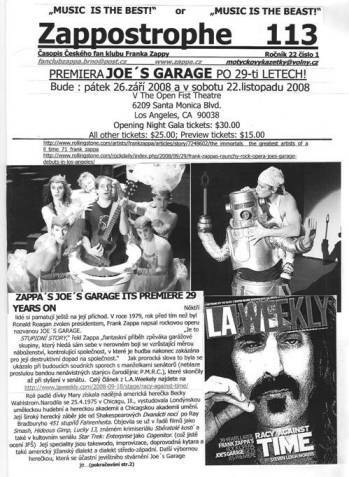 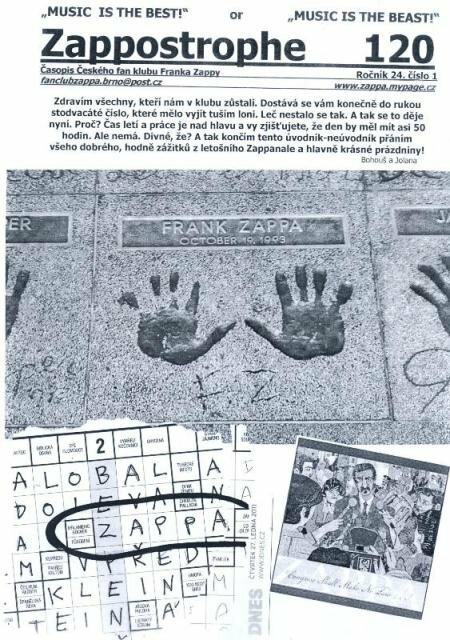 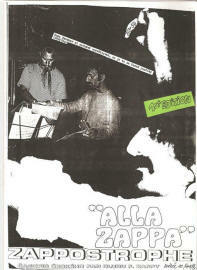 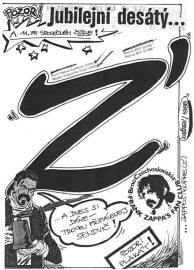 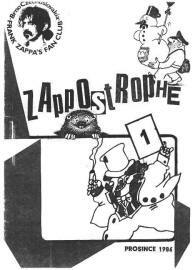 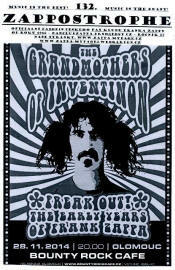 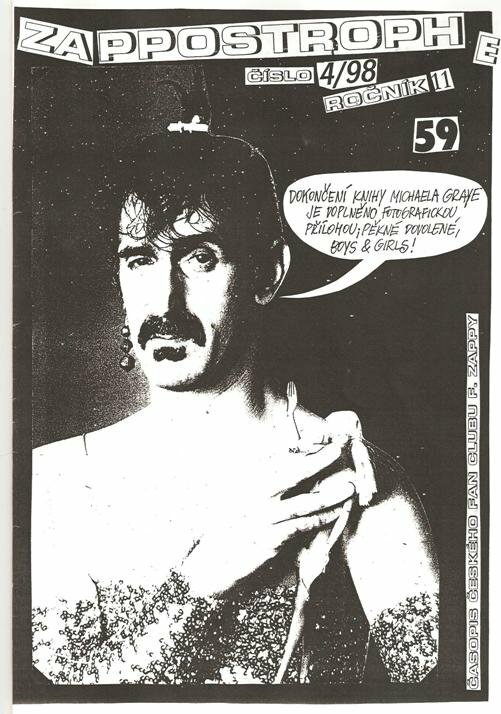 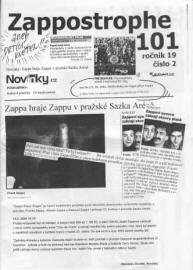 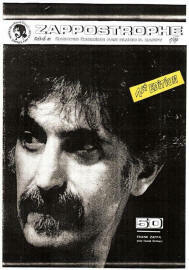 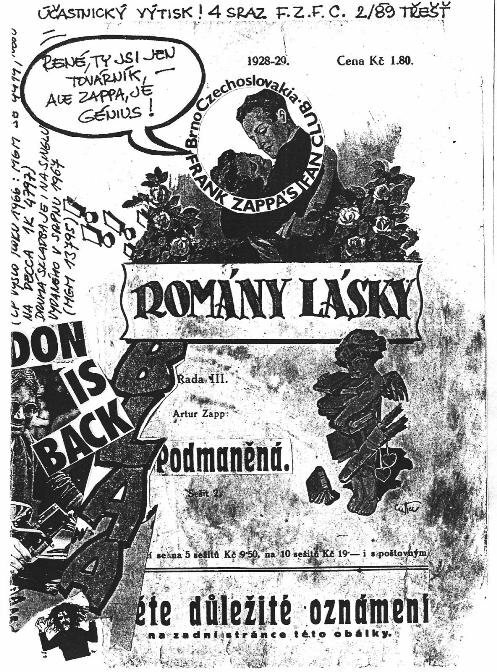 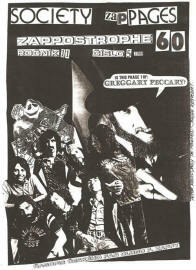 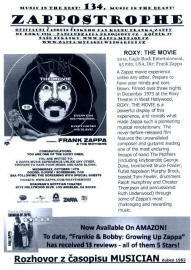 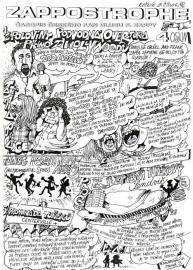 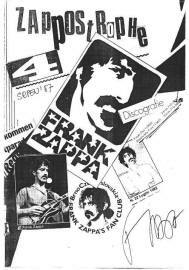 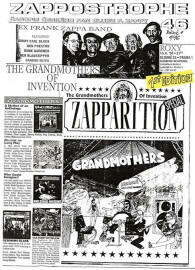 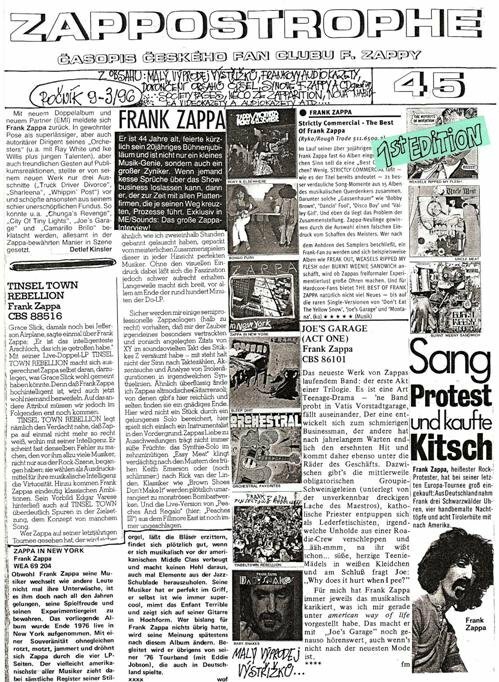 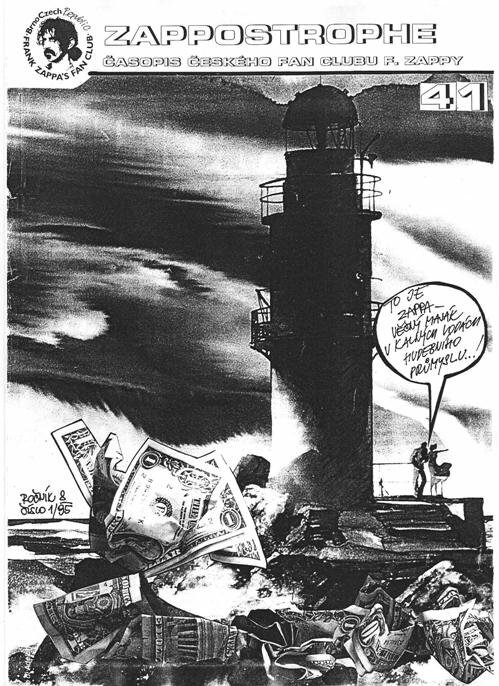 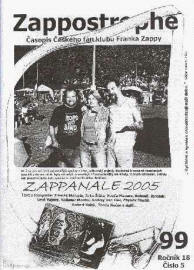 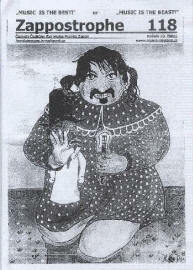 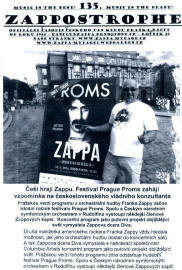 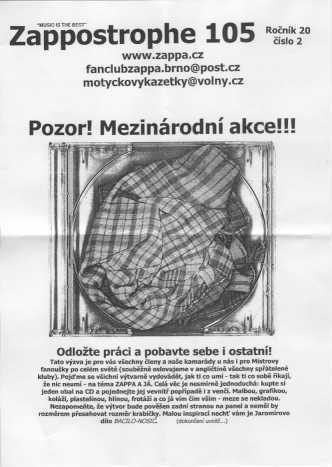 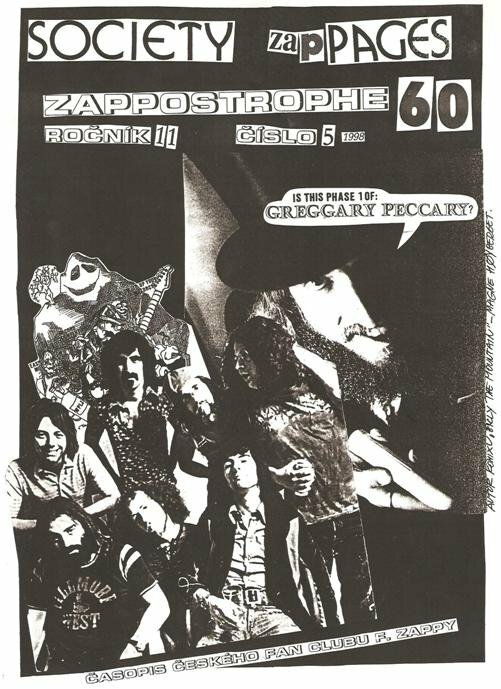 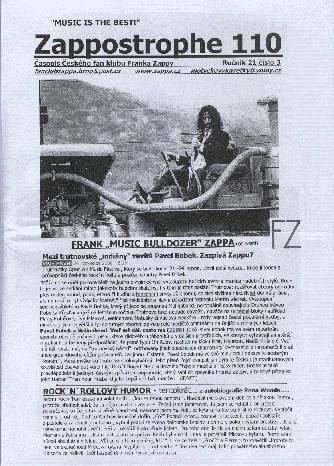 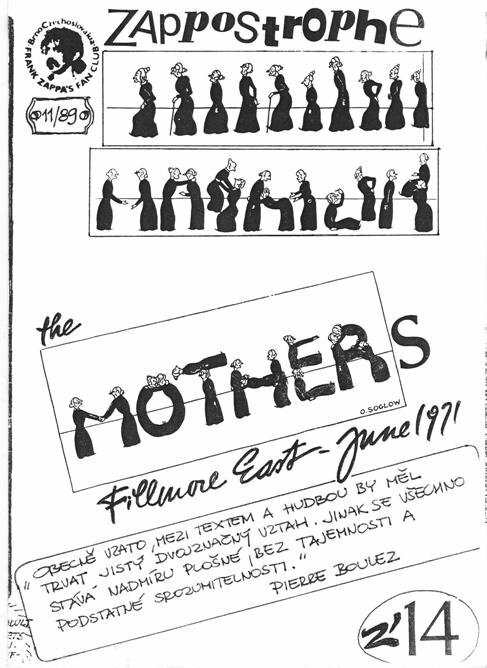 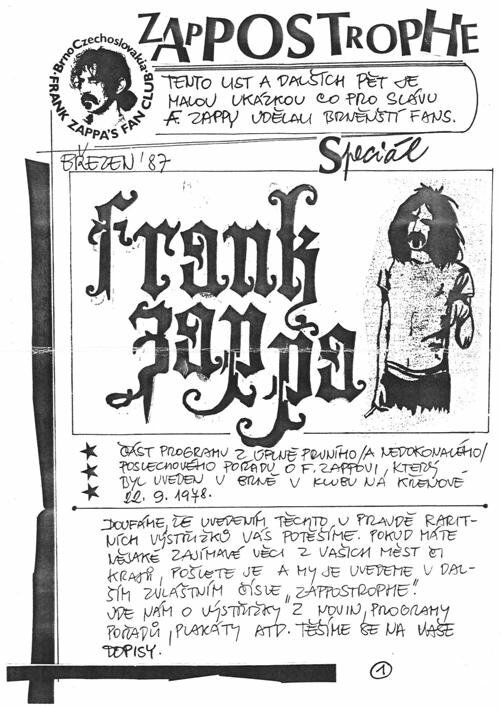 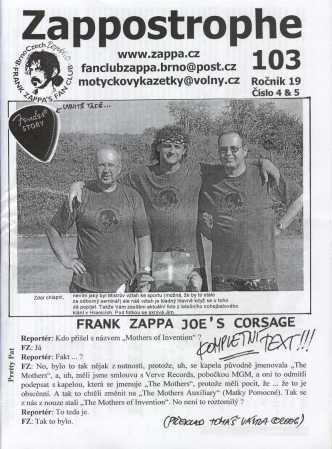 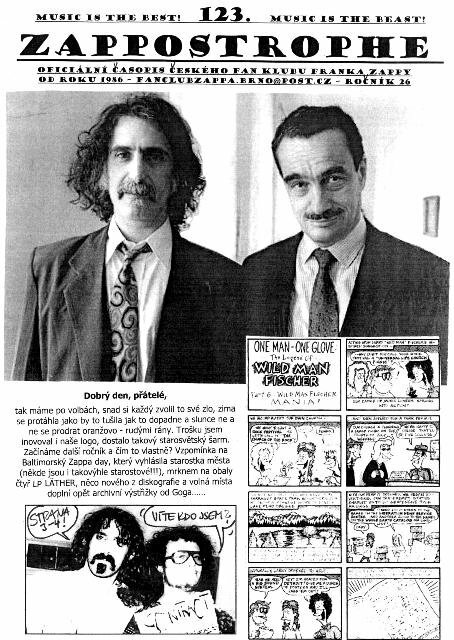 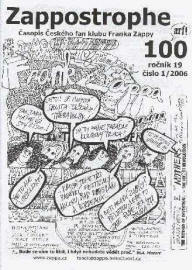 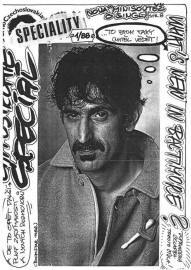 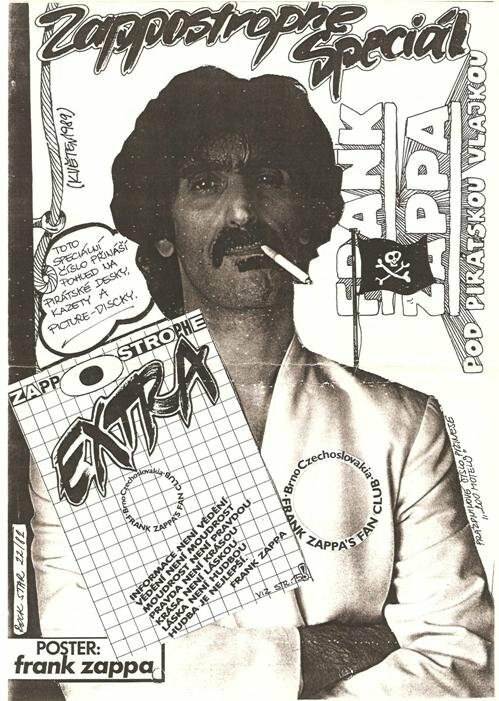 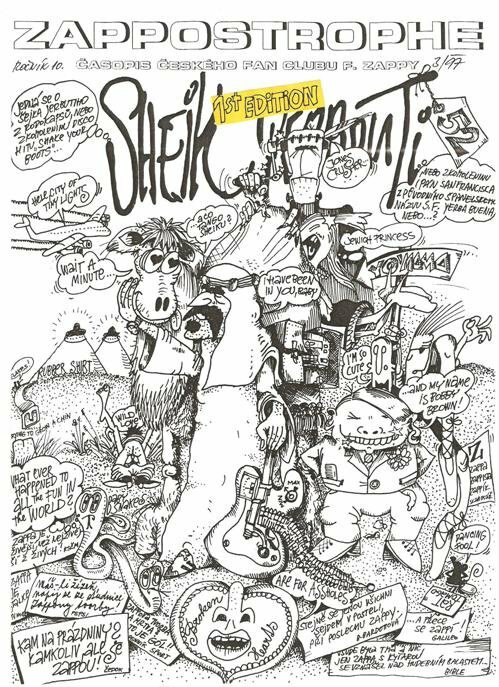 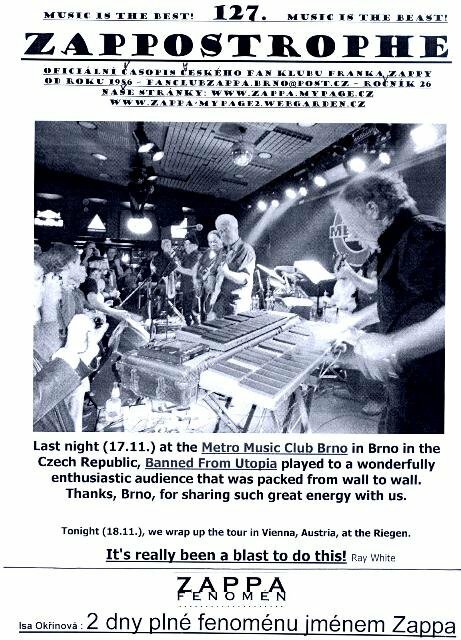 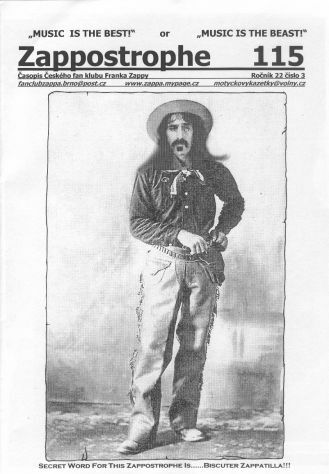 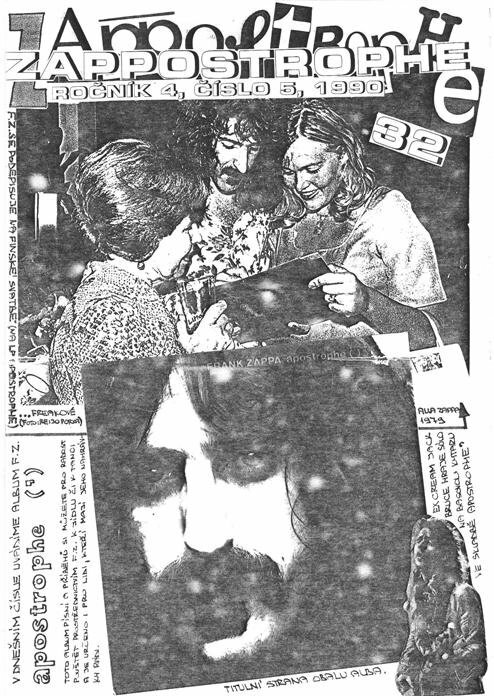 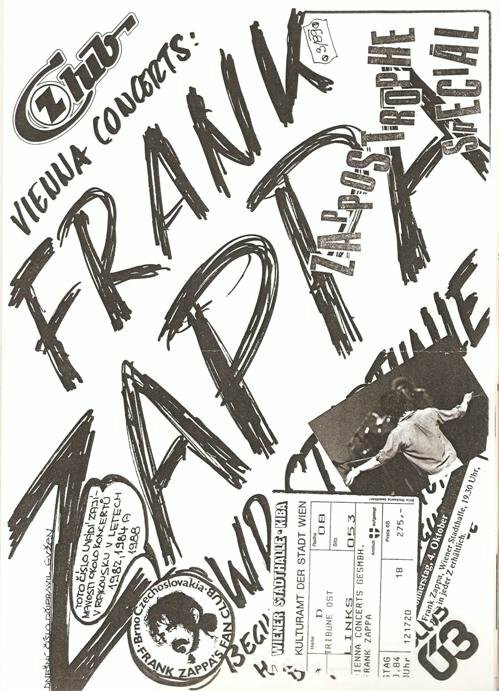 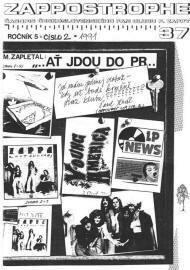 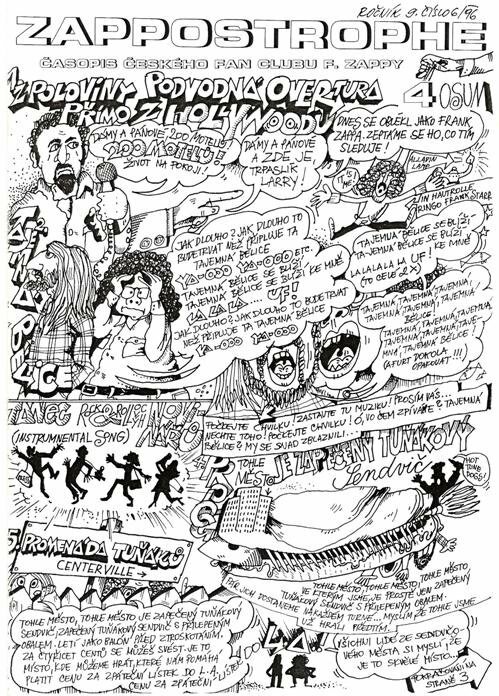 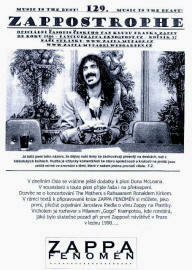 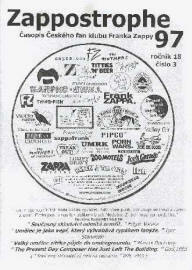 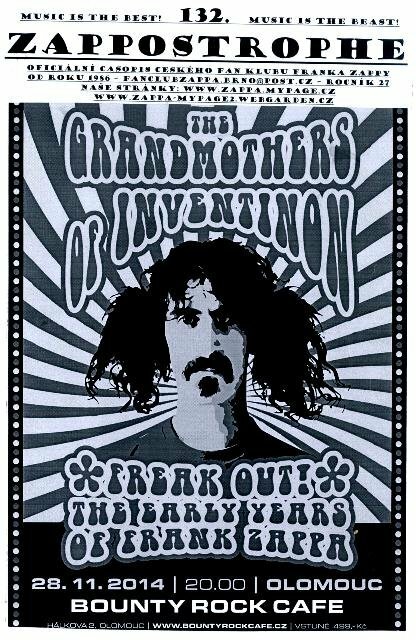 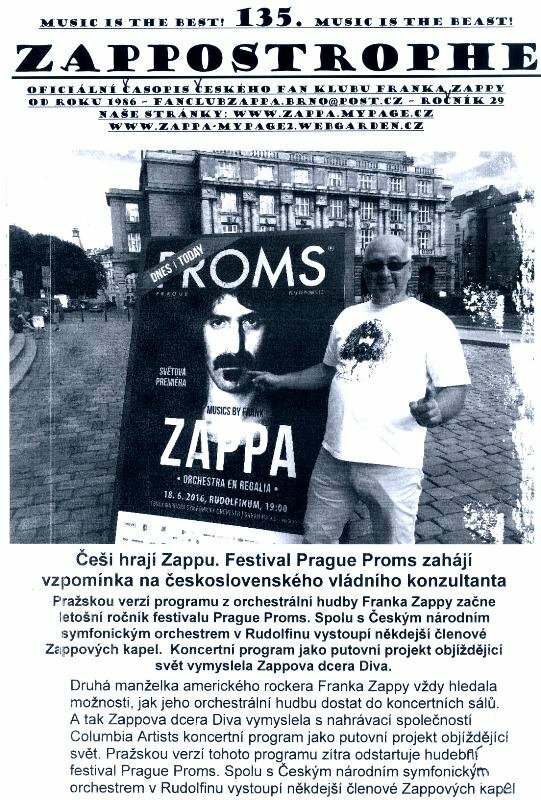 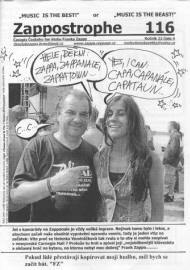 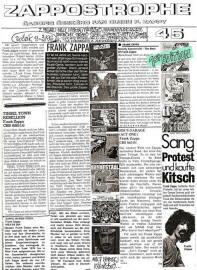 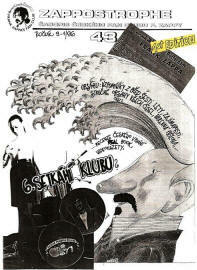 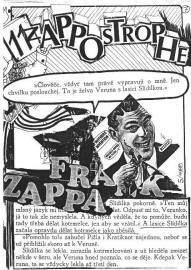 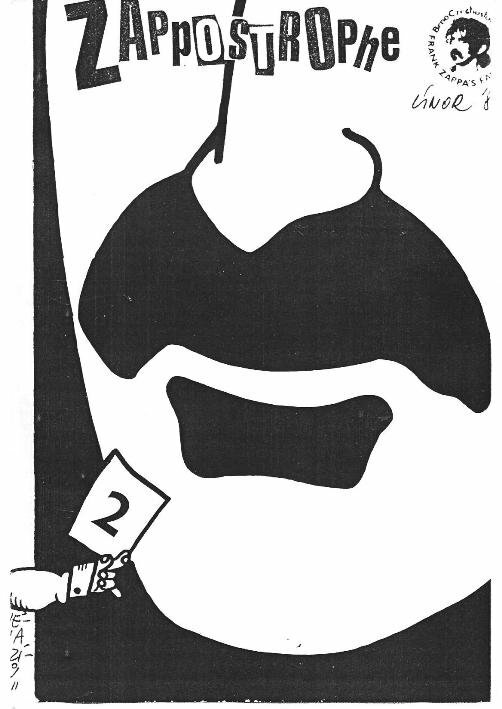 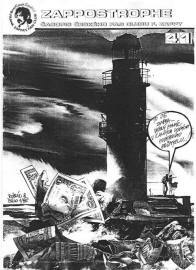 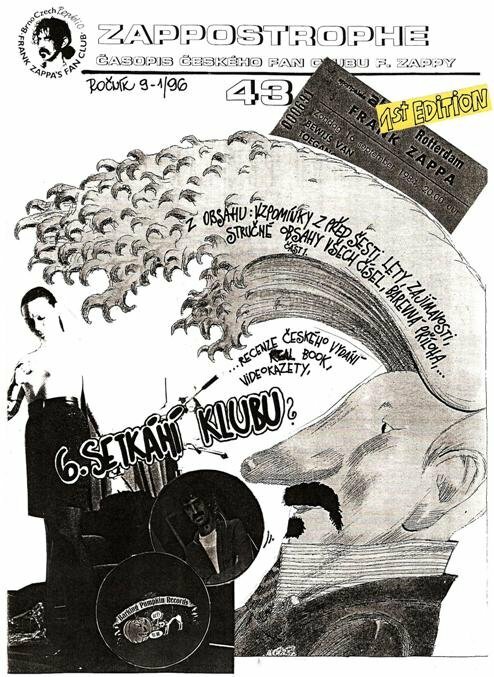 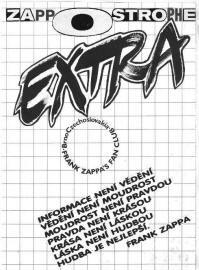 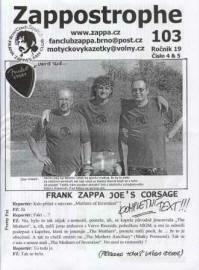 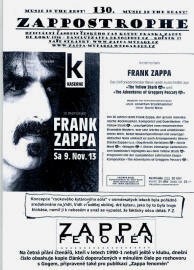 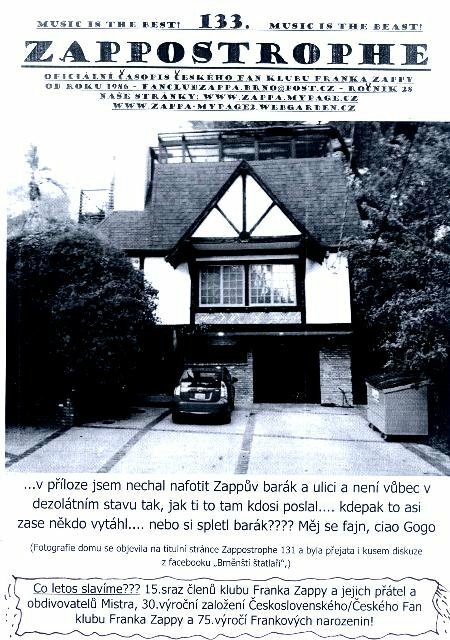 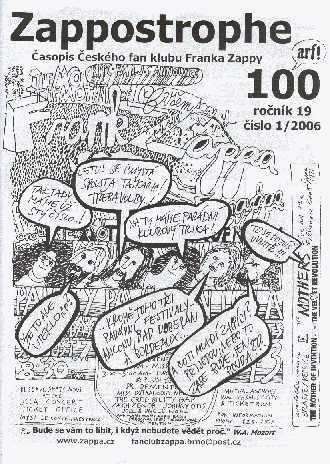 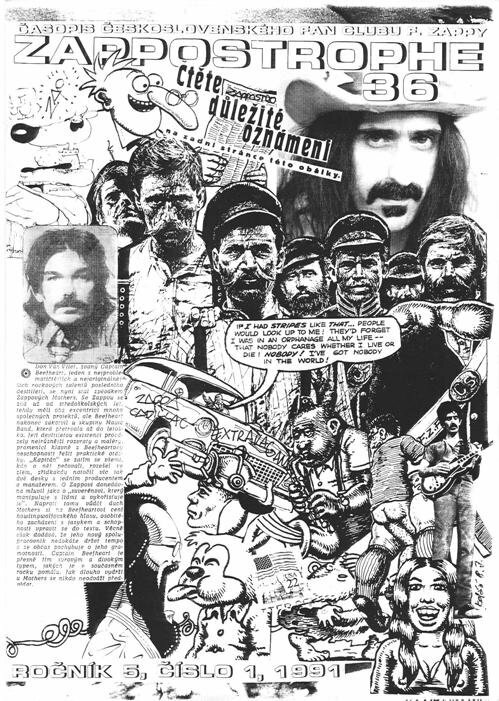 Still published by Czech Frank Zappa Fan Club in 5 issues per year. 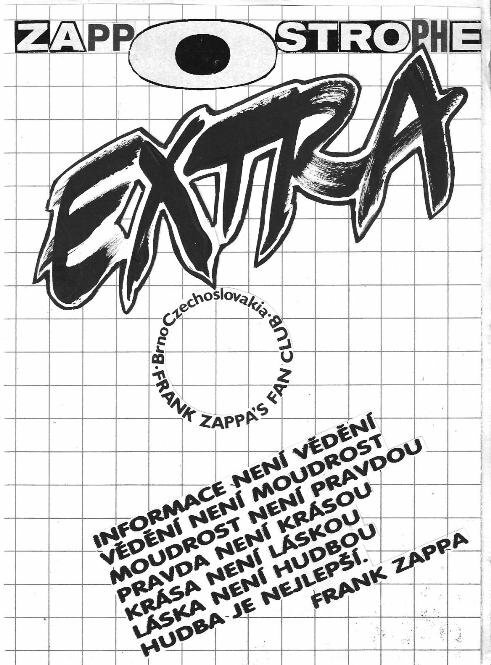 Editor - Bohumil "Bohouš" Jůza.